Meet Coolhaus Founders Natasha Case (left) and Freya Estreller (right) on their Coolhaus truck in Los Angeles, Ca. 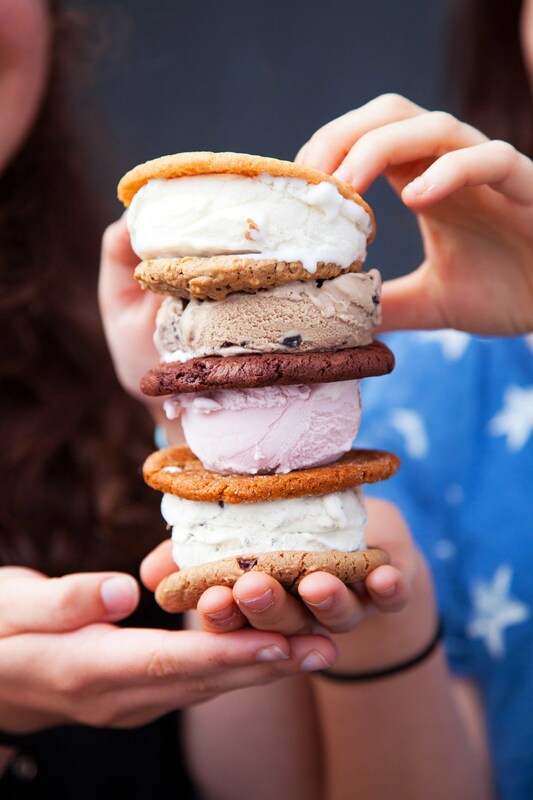 All images c/o Coolhaus. Get to know the ladies who are reinventing the way we view a classic sweet treat and learn their six tips for female entrepreneurs below. At 25-years-old UCLA graduate Natasha Case landed an elite position in the architecture department at Walt Disney Imagineering during the 2008 recession. 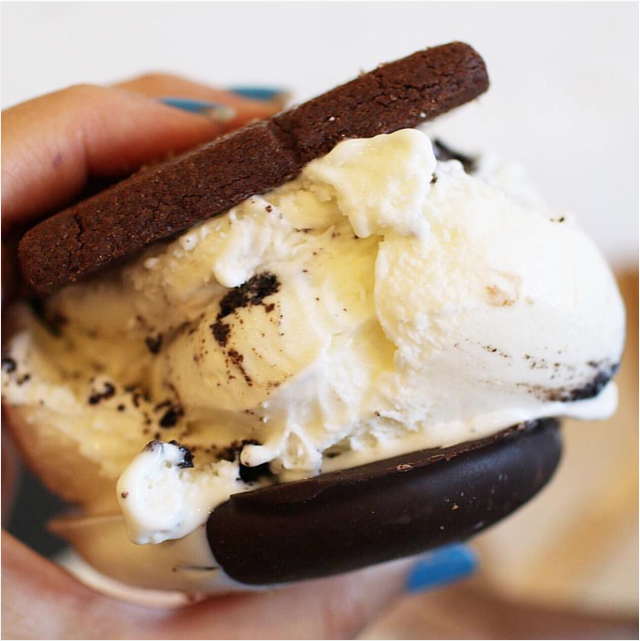 As a form of comic relief, Case would bring ice cream sandwiches named after famous architects and architectural movements for her coworkers to help lighten the mood around the office. 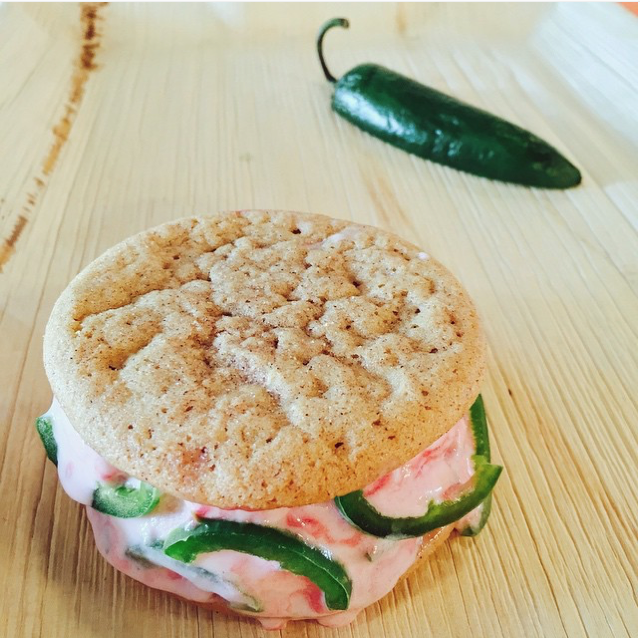 Strawberry ice cream between two snickerdoodle cookies was dubbed the "Frank Berry" in honor of the man behind the famed Walt Disney Concert Hall in downtown LA. The Dirty Mint Chip ice cream stuffed between two double chocolate cookies was named "Mintimalism" after the 60's Minimalism Movement. Case called this idea "farchitecture" or food inspired by architecture with the notion of not only enhancing the eating experience with design but also creating a greater awareness about architecture. 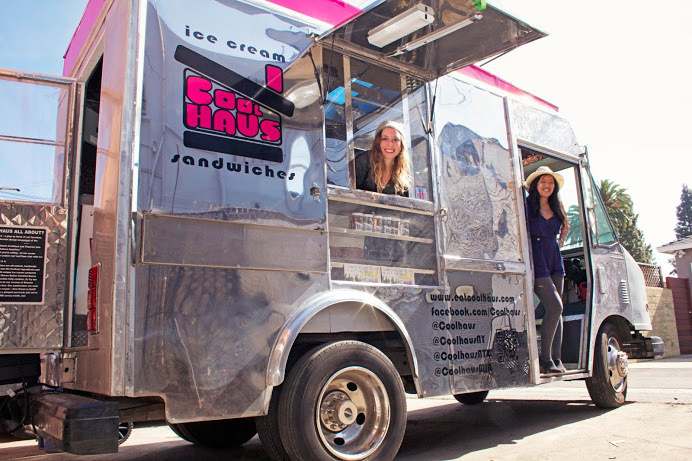 In November of 2008, Case met her Coolhaus future co-founder Freya Estreller, a 26-year-old Cornell alumna, who believed the concept of farchitecture was clever and a great way for her to "flex her entrepreneurial muscle." With Case's creative idea and her savvy in marketing and design coupled with Estreller's finance background, Coolhaus launched at the Coachella Music Valley Festival in April 2009. "Coachella forced us to rethink and strategize how we were going to scale," says Estreller. "We had our full-time jobs and realized physically there is not enough time to make the ice cream at home, which is what we were doing." The two were able to work with co-packers and manufacturers who lowered the minimums and work with their recipes to produce them in a scalable mass amount, which they purchased at wholesale and sold from a beat-up truck they purchased from Craigslist. 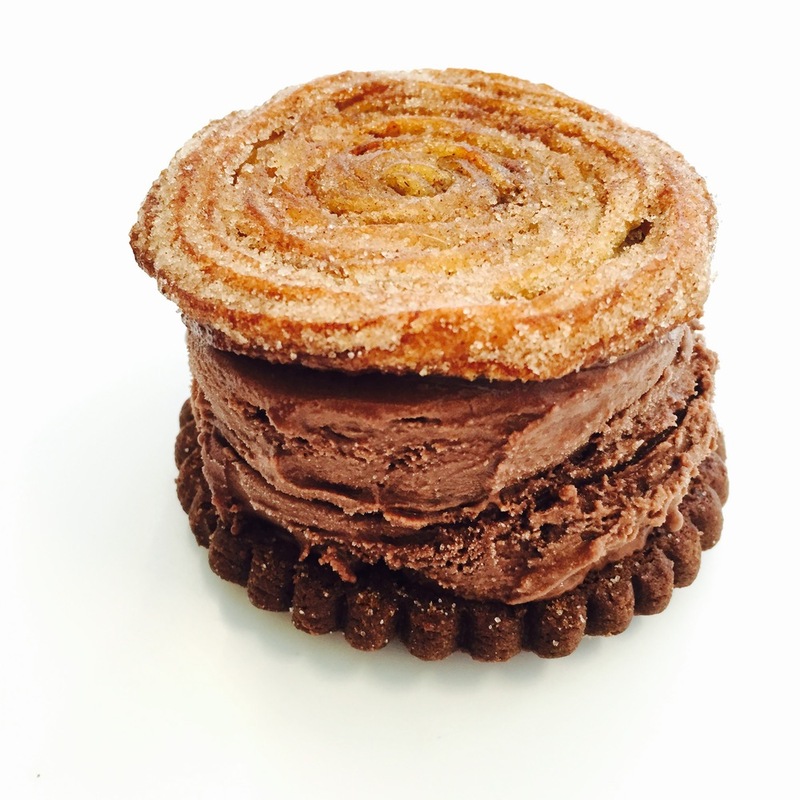 Today, there are 10 Coolhaus trucks nationwide, two brick and mortar stores in Los Angeles, Ca. and their products are sold in over 4,000 retailers nationwide. In honor of National Ice Cream Sandwich Day, we thought who better than these two female entrepreneurs to spotlight and gain insight on how to succeed in entrepreneurship. "We knew for us to scale the business and for us to remove ourselves from the day-to-day and just focus on the business we needed more trucks" says Estreller. The two brought on an angel investor, a person who provides financial backing for small startups because they did not have enough capital to expand their food trucks to New York City and to open a brick and mortar store in Los Angeles, Ca. "No one was going to loan us money," she said. "At this point we were barely two years in business and it was a recession so no one was loaning businesses money." Estreller's financial background came in handy when the two created a budget for their venture. Once they decided to own multiple trucks and diversify their revenue stream, then the business plan "became very clear" after two-and-a-half years in the making. These self-proclaimed foodies find inspiration from the places they visit, the food they eat and the cocktails they drink. On their menu, you can find alcohol-focused flavors such as such as Bourbon Pecan Pie, Fried Chicken and Waffles ice cream and higher-end flavors such as their Sicilian Pistachio and Truffle. "Being in LA, it's easy to be creative because there are so many types of food here and such great produce," says Estreller. "Besides our own creativity and what we want to eat and drink, clients also push us to innovate." For example, years ago they created a SpongeBob SquarePants ice cream with toasted coconut, pineapple and sponge cake for Ashlee Simpson's son's first birthday party. 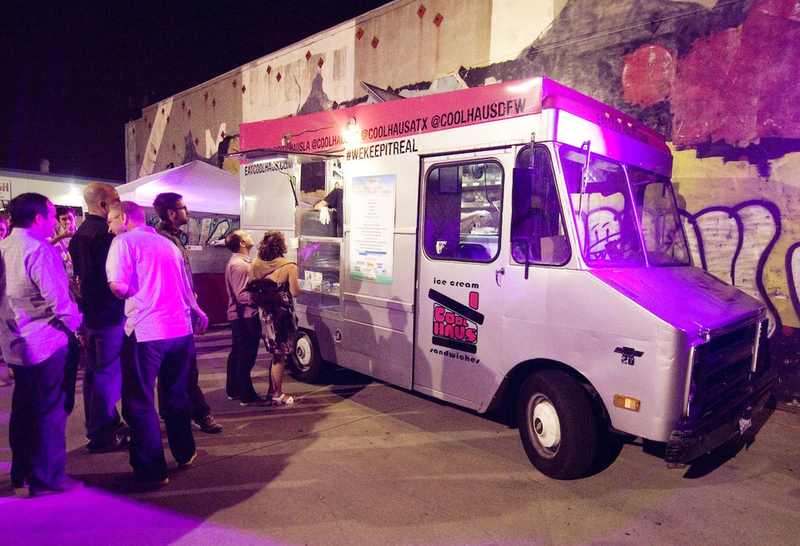 Social media is "extremely important" for Coolhaus' business and brand. Their initial food truck started around the same time Twitter gained a strong momentum. "With a food truck you have to Tweet out your locations or else no one will know where you are," Estreller says. "Instagram is important as well because people eat with their eyes." They are also "playing with" Snapchat as a way to give out discount codes for the day or clues to get a free ice cream, cookie, or milkshake. 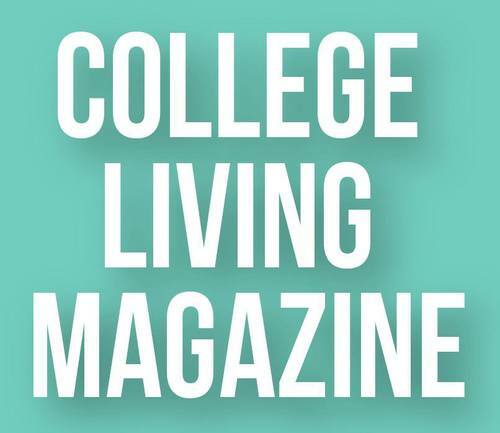 "We're on Facebook, and Pinterest but I think those are less dynamic for us than Instagram, Twitter and Snapchat are." For budding entrepreneurs who want to create their own unique brand, Estreller advises to embrace what makes you unique and to keep it consistent throughout with your branding, packaging, website and social media - "just stand out." "Don't be afraid to stand out, there will be people who will think ‘this is stupid’ you can't please everyone but, by being yourself and focusing on that making sure it's communicated all throughout is the best way to stand out," she says. Last month, the Coolhaus ladies catered the annual White House Fourth of July party, but this was an entire year in the making. Last year when they were promoting their cookbook, they were on Good Morning America and Watch What Happens Live with Andy Cohen, when their publicist asked 'what do we want to do next?' to which Case responded "The White House." Their publicist reached out to a friend who works at the Oval Office and the rest is Coolhaus history. What is your favorite tip from the Freya and Natasha? 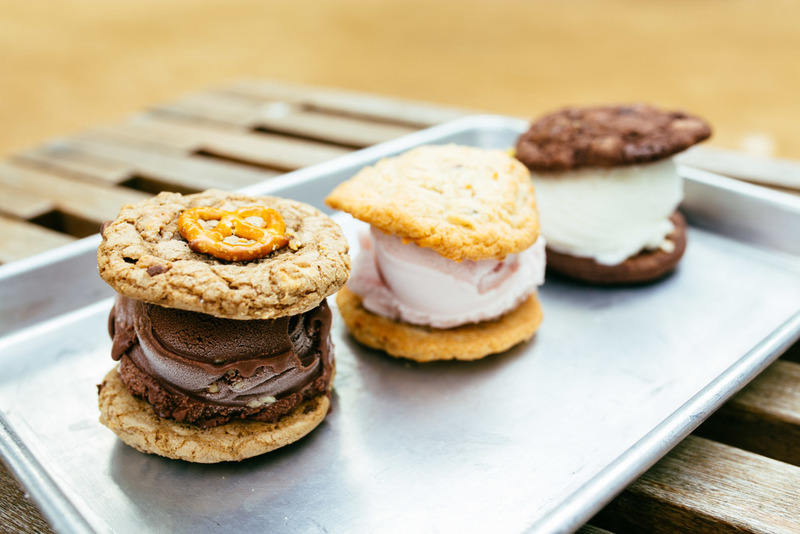 Which ice cream sandwich flavor do you want to try? Are you now ready to take over the food industry? We sure hope so! Until next time. Tortuga Day Two: Farewell Already?